It's time to reflect on a few “big” accomplishments in 2017 - a new warehouse to build our Ottawa and Niagara destinations, initiation of our “big” and “small” investor campaigns, and major progress on Ottawa – in the words of Bon Jovi “oooh, we’re halfway there!” We’re incredibly proud of our team and the hard work they invested in 2017 to bring Our Home & Miniature Land to life. So, as a ‘little’ thank you, we shrunk each team member into 5” 3D mini-me versions of themselves that will sit in our lobby – it was downsized fun! It's also time to look forward to 2018. We’ve made one tiny new year’s resolution – to secure our 2nd wave of investment to get to a 2019 launch. We’re pleased to announce that we have signed a term sheet with a Canadian lead investor. We look forward to sharing more news on this front, including the “go-live” of our FrontFundr small investor campaign later this month. Meanwhile, excitement around our growing miniature Canada continues to build. Check out below for December’s big developments. 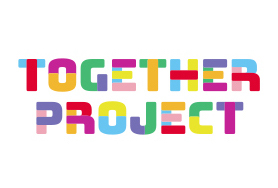 Last month we had the opportunity to work with the Together Project, an inspiring initiative that helps refugee families adjust to living in Canada. We invited a group of 20 Syrian refugees and their host families for a private tour around our growing miniature Canada. Their reactions were inspiring. We’re happy to announce that our Supreme Court of Canada structure is complete. Established on April 8 in 1875, The Supreme Court of Canada is the highest court of Canada, and the final court of appeals in our justice system. The structure is home to some big players and the birthplace of some big legal decisions that make Canada such a great place to live today. In addition to the Supreme Court of Canada, we completed the Notre-Dame Cathedral Basilica. The structure, founded in 1841, was designated as a National Historic Site of Canada in 1990 and remains the oldest surviving church in Ottawa. We’re thrilled that we continue to attract attention from media. Last month we hosted Lesley Stewart from CHCH Morning Live for an interactive behind-the-scenes look into the build of Our Home & Miniature Land. Half a million broadcast and on-line viewers saw our own Dave MacLean demonstrate for Lesley the laser cutting technology that we use to build our highly detailed buildings and landscapes. Lesley also got behind the wheel (well, she grabbed the remote control) of one of our tiny autonomous cars and drove up to, and almost into, Union Station. Fast forward to minute 3:20 in the attached link to witness the action! The crew also got a lesson in the tender loving care that goes into making our miniature green grass grow, as demo’d by Dan, our Bonsai Chef. Thanks to Lesley, Micheal and Don at CHCH Morning Live for a great visit, and to our OHML team for a great set-up and delivery. One of the things we’re really looking forward to is giving our guests the opportunity to create their own 3D mini-me’s, that is, to get miniaturized and placed in our world through the magic of 3D printing! We’re partnering with Selftraits to make this happen. Selftraits is also responsible for providing 3D mini-Matt Damon and 3D mini-Kristen Wiig props for the movie Downsizing. Through our connection to Selftraits, Cineplex came to us with the opportunity to help promote the Downsizing Movie with their VJ, Tanner Zipchen. 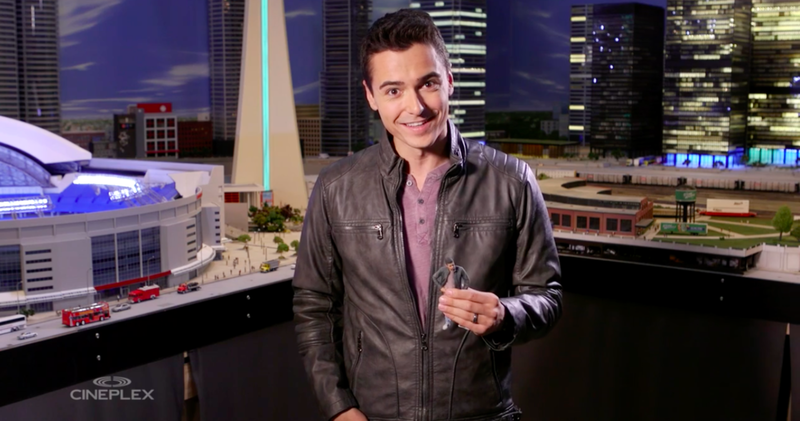 Tanner and his 3D mini-me visited Our Home & Miniature Land to shoot footage for the promo ad. 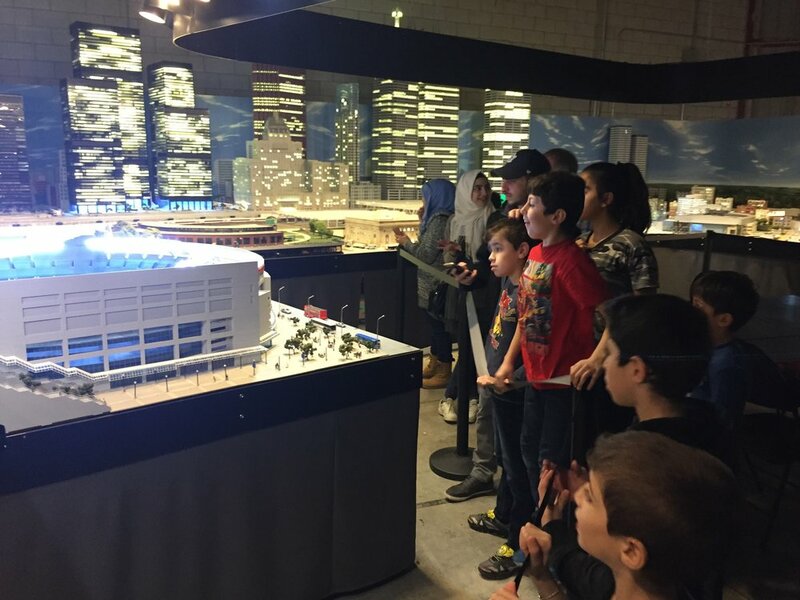 Here they explored the streets of our miniature Toronto, where of course they discovered a mini Cineplex theatre, complete with concessions stand – you can almost smell the popcorn. Hey tiny Tanner, you’re welcome back anytime! Watch the promo ad here!